Green tea for our health: Why is it beneficial to drink? Japanese specialties: shoyu, tamari and miso. What are sacharids, carbohydrates and sugars,? How to properly prepare the sushi rice. What effects does green tea have on our health? The positive effects of green tea are well known but most just sum it up with "it's good for us". How does it really help us? How can we use it to improve our health? This article will detail the most important effects of green tea on our body. 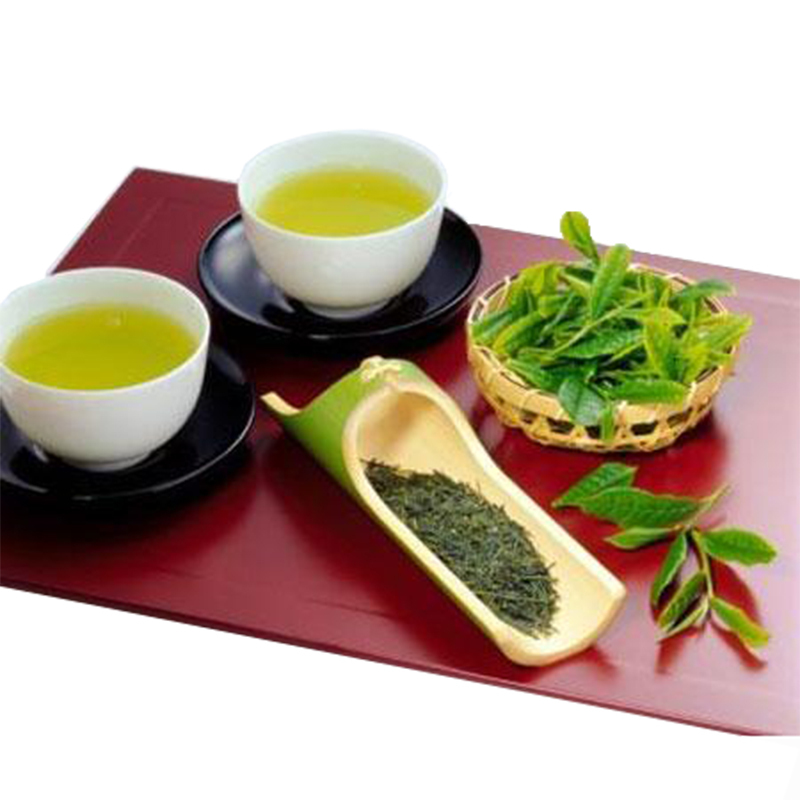 Of all the different types of tea, green tea is the best in terms of antioxidant content. Only one cup of quality green tea and the organism will be cleansed of any pollutants. Thanks to this, it makes you feel better when aging, keeping your body in a good condition. This also improves the quality of your skin and slows the formation of wrinkles. If you drink coffee because of needing a pick-me-up, you should give green tea a try. In fact, it is considered stronger than some coffee. It contains more caffeine and improves concentration. This is why some people can only drink coffee before the afternoon, otherwise it would interfere with their ability to sleep. If you are having problems with urinating, maybe even having to take medicine as a result, green tea can also help you. It has strong diuretic effects, which helps with kidney function and urinary tract problems. There are ingredients in green tea that chemically tie to fat better. As a result, if you regularly drink green tea it may help you lose weight. It can be used in addition to dieting and may improve your success with weight loss. When using it in this way it is best to drink one cup every morning on an empty stomach, possibly with some squeezed lemon. Due to detoxification, green tea can help prevent various diseases as a result. It is very effective against carcinogenic ailments. Green tea may protect you from these, but it requires regular usage to detoxify your body. If you drink tea during a flu season or other infectious diseases are spreading, it may lower the risk of catching one of these. It can also be used when cleaning out various wounds, if you clean them out with a green tea extract from a stronger concentration of leaves. It can also be used to make a footbath to prevent the risk of foot fungi or mycosis. Green tea is sometimes used to create a massage balm, used to ease various pains in the back or elbows. Since it has anti-inflammatory effects, all it takes is to rub it into painful spots on the body to combat them where you need them most. Create one by using a 3 dcl bottle of olive oil and a handful of green tea leaves. Then, leave it in the sun for two weeks, filter it and use it and apply it. Green tea boasts a high amount of fluoride in its contents. It may improve the quality of your teeth as well as bones. This is important as you get older, as it may prevent the onset of osteoporosis. To use green tea to its fullest, you have to learn how to prepare it properly. Ideally you want to use highest quality leaves that you can buy in specialized stores. These are full leaves that unfold after water is poured on them. Do not use boiling water. The water should be around 80 degrees celsius. Then, leave the tea for five minutes before removing the leaves and drinking. Boiling tea is not as effective as warm one. Preferrably, you want to drink it pure, but if you cannot get used to its taste you can sweeten it wiith honey or citrus juice. Despite having so many positive effects, it is not recommended for smaller children. Just like coffee, due to the presence of caffeine it may cause some issues. If you can make a weaker concentration by leaving it to rest for longer or using more water to dilute it, children of a school age can drink it. However, start out with very weak tea and be careful for how they react. It may cause hyperactivity or problems with sleep. Our goal is not just to offer good products and services, but also to make the Asian culture and gastronomy known, and it is getting a better standing in the dining menu and your heart. With us you get great value and quality. We ship many products directly and we work together with many establishments in the surrounding areas of Europe. Do you need help with cooking, or don't know what to prepare for dinner? Call us during our work hours from 8:30 to 17 o-clock. We speak vietnamese, czech, slovak, english, german and chinese. We can deliver shipping for free when you buy from a certain volume of products. For more information, see Transport and Payment. What is the famous "rooster" chilli sauce HUY FONG? Did you try the original Vietnamese dishes?